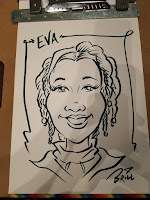 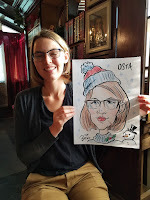 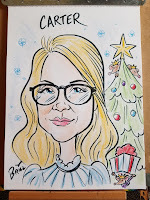 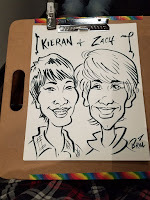 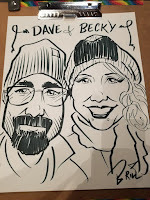 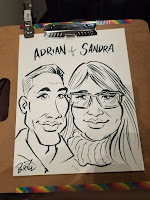 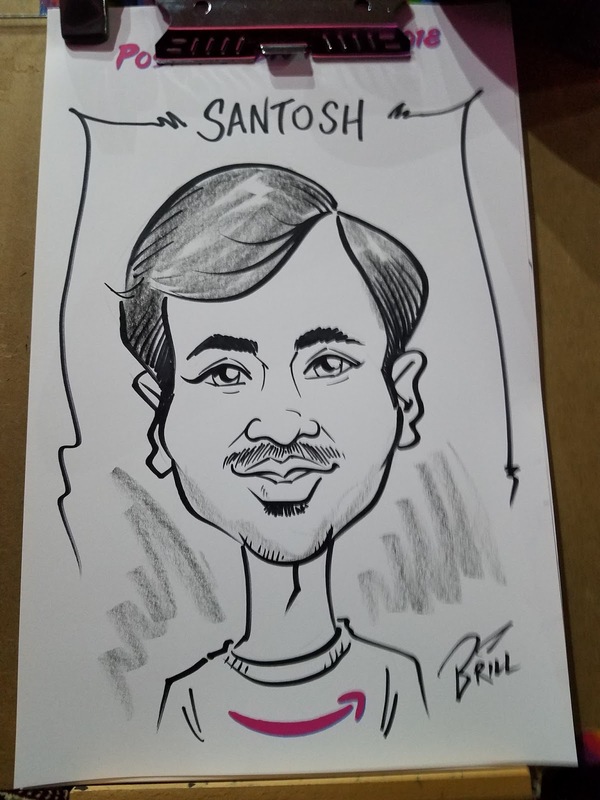 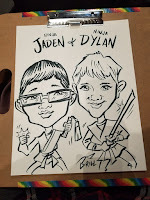 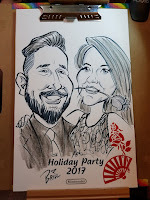 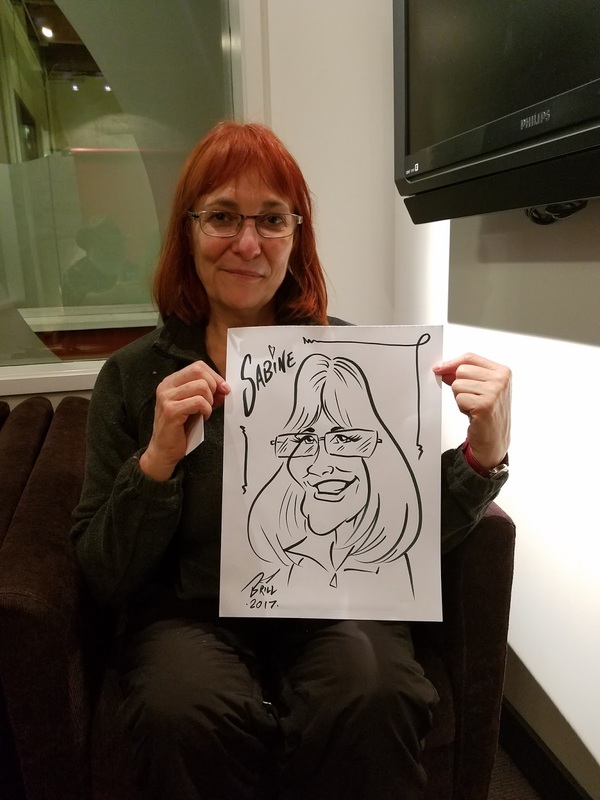 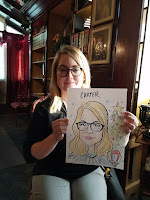 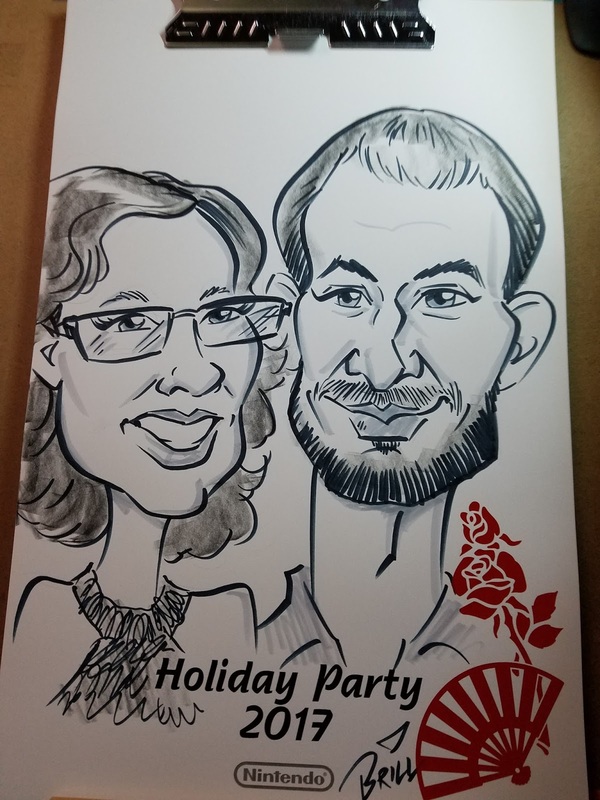 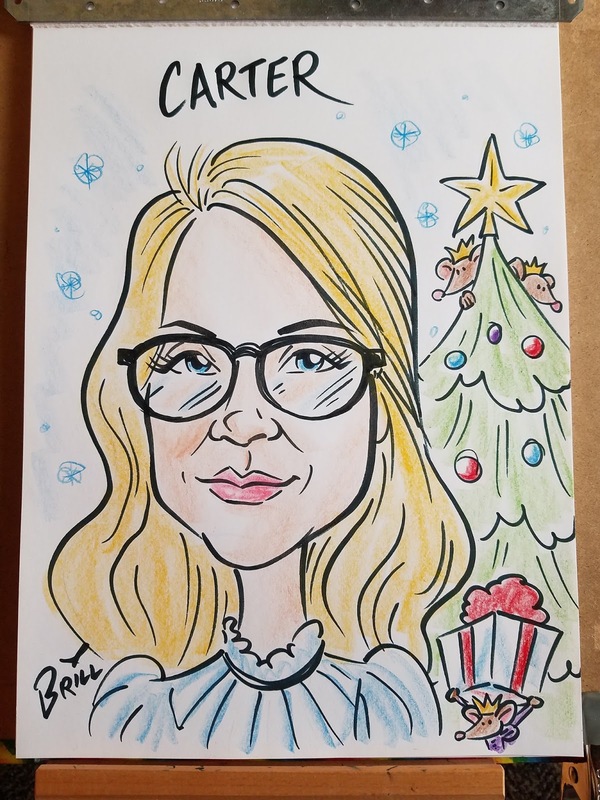 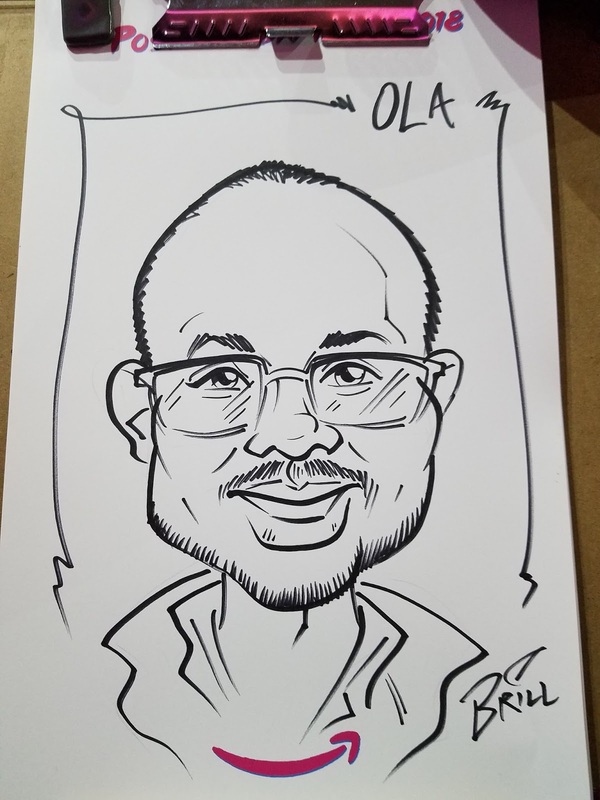 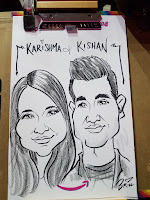 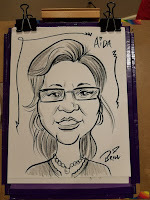 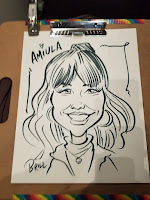 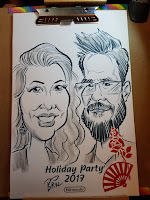 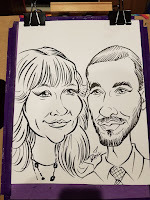 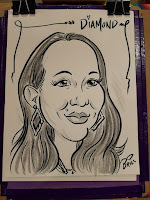 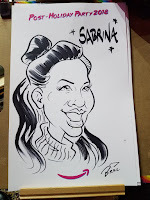 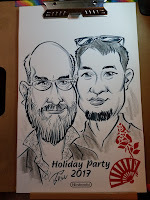 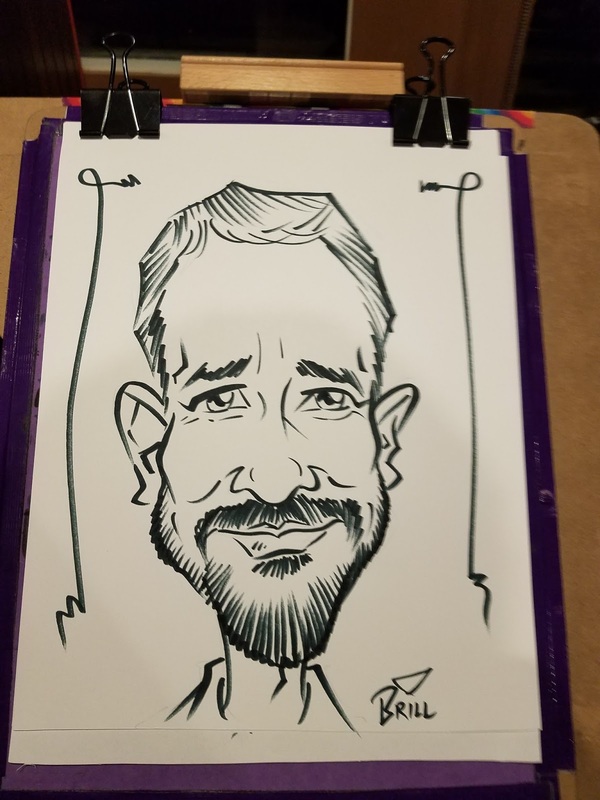 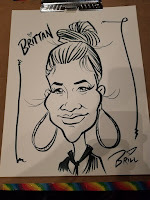 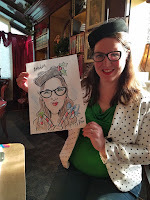 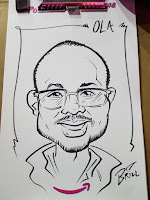 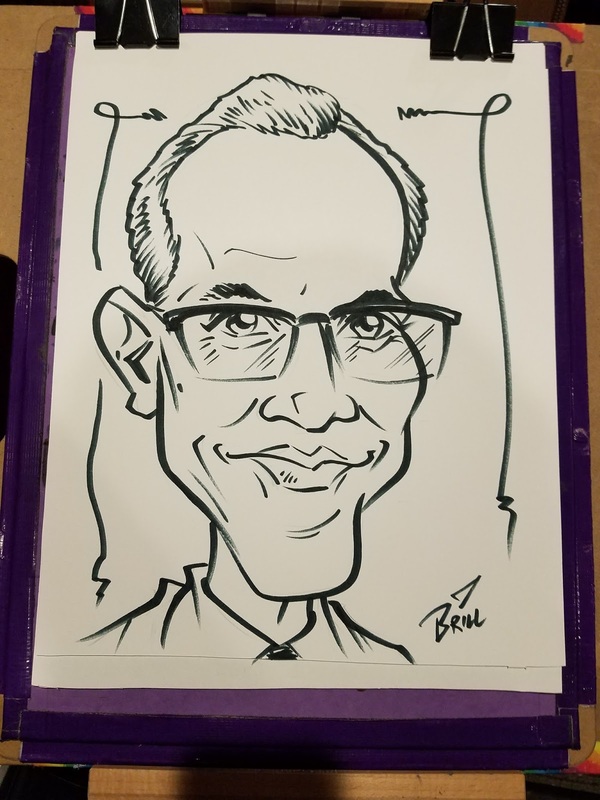 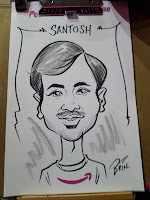 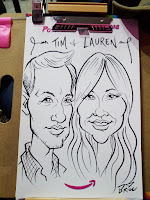 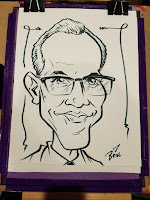 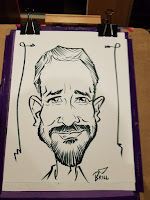 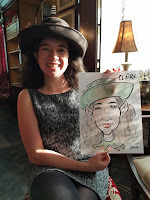 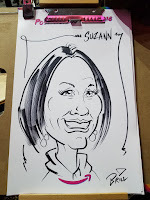 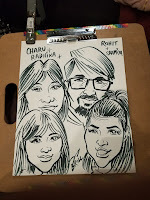 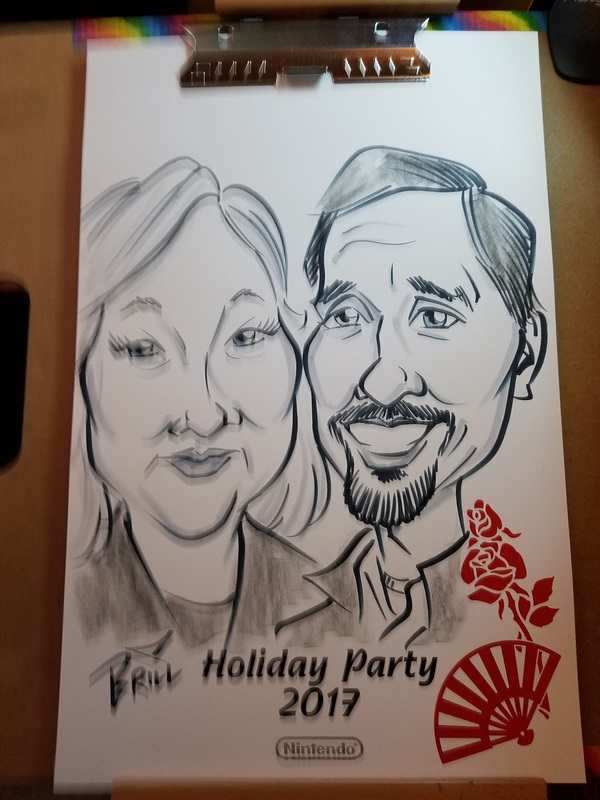 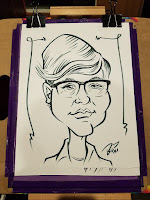 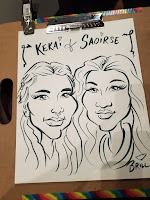 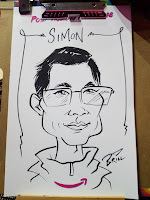 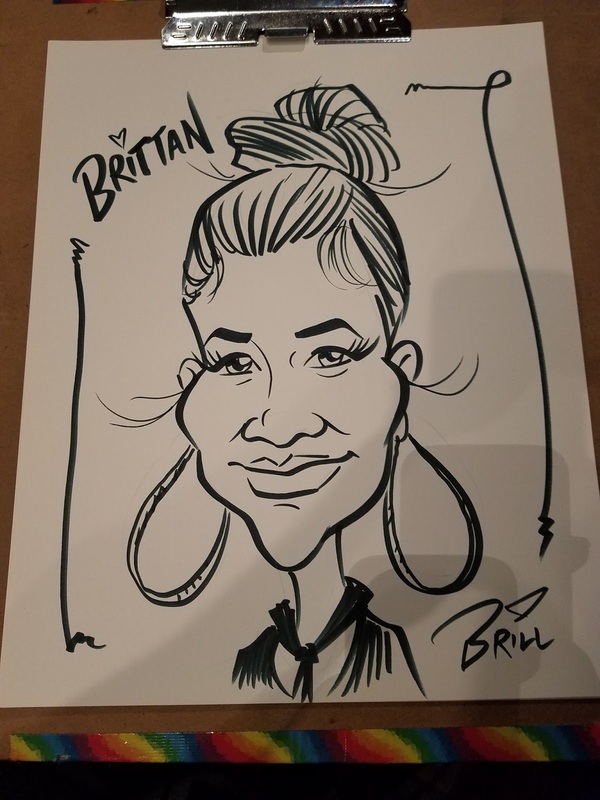 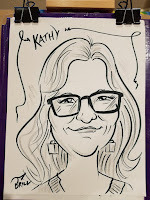 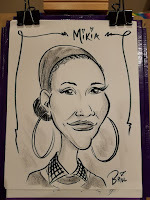 THE BRILLUSTRATOR: A Slew of Recent Caricature Gigs! 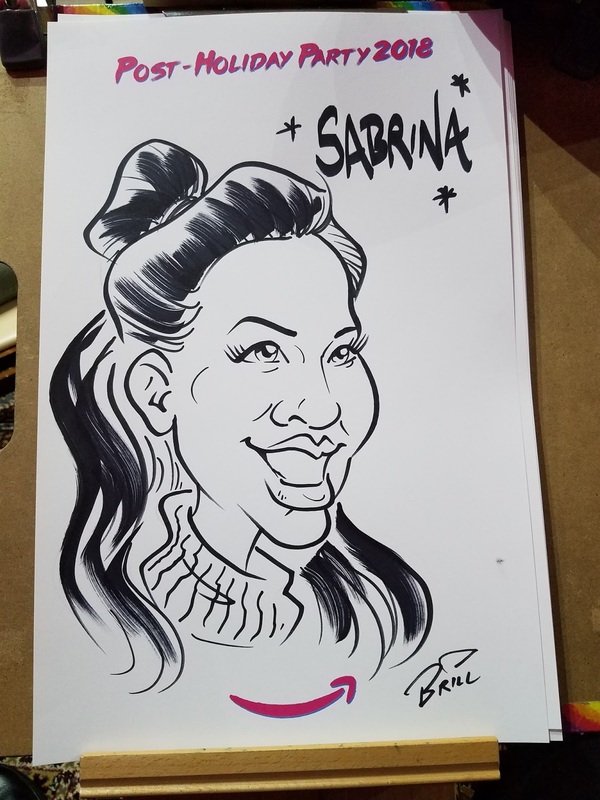 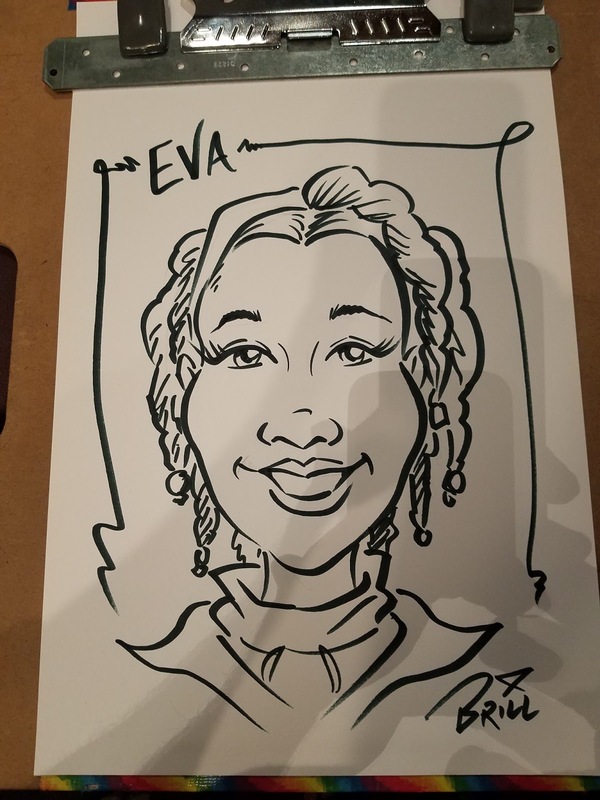 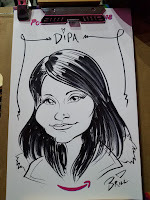 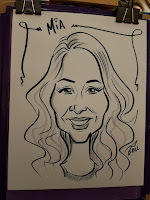 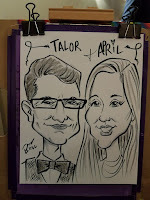 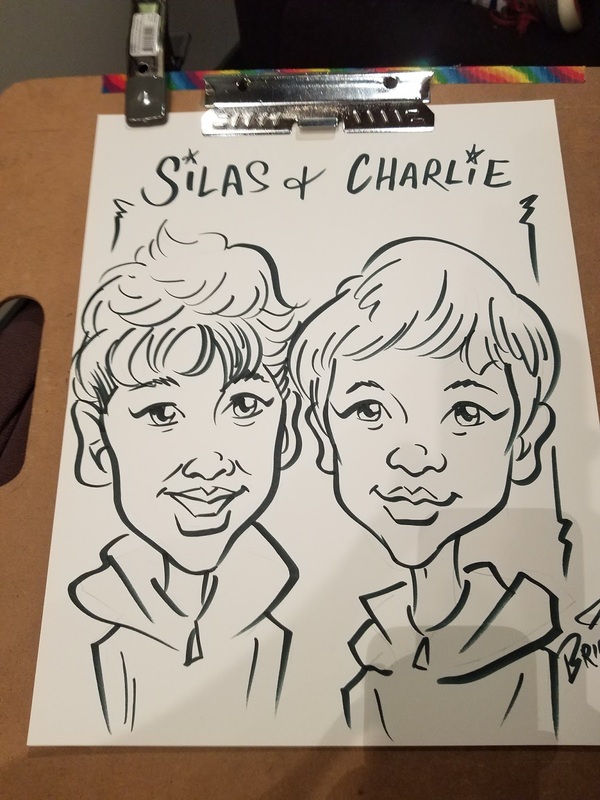 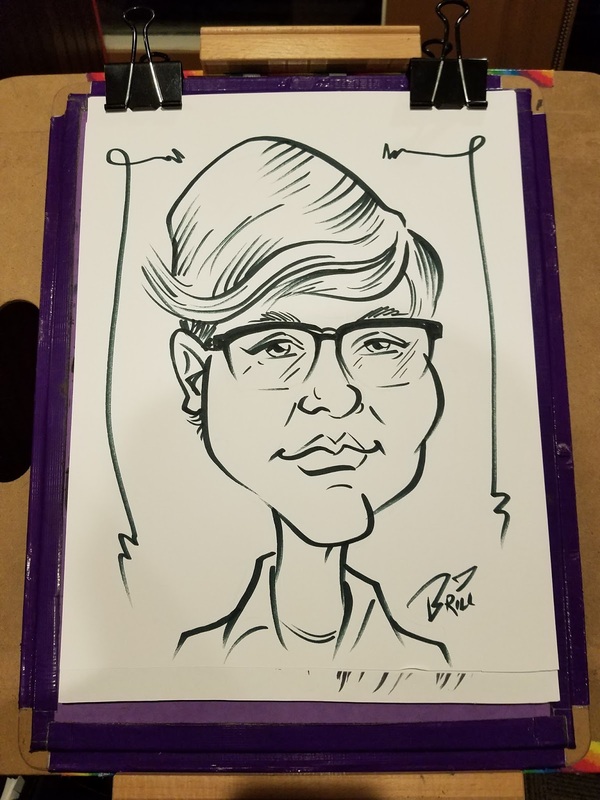 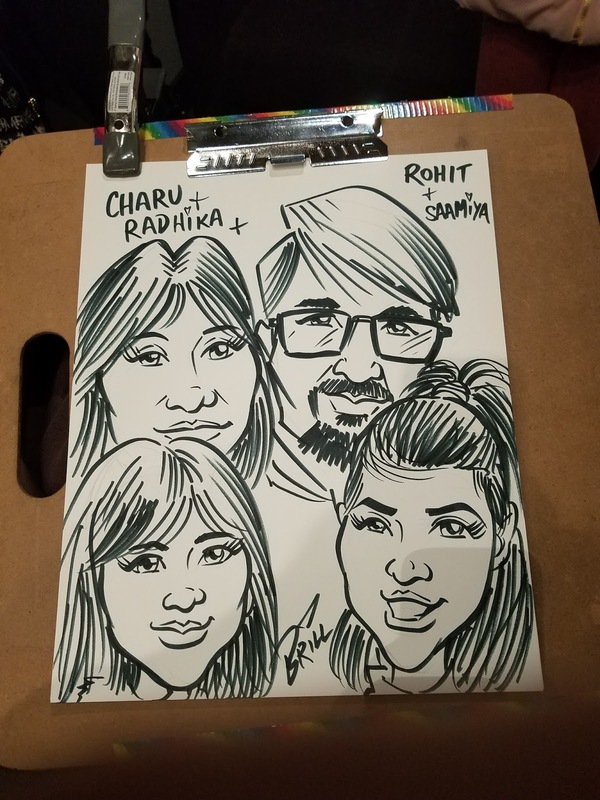 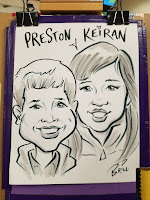 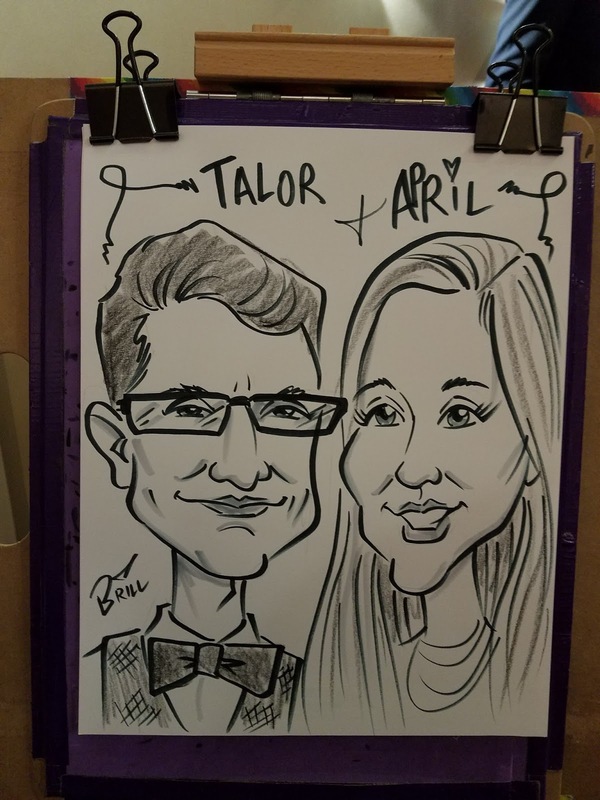 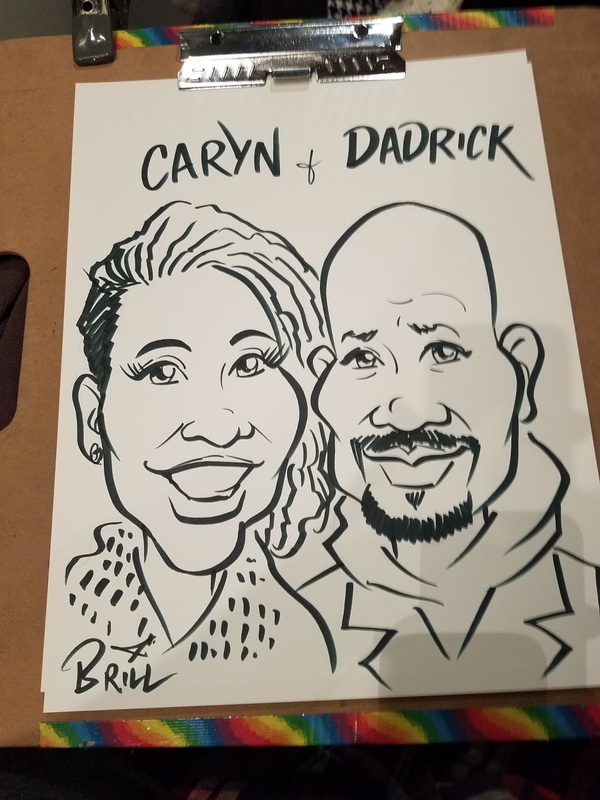 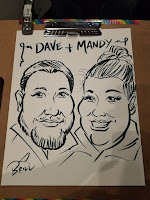 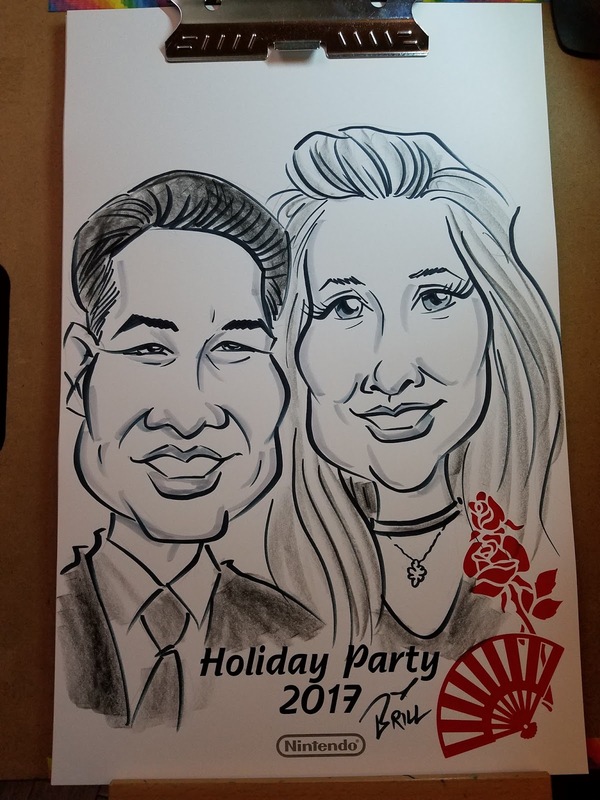 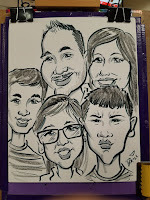 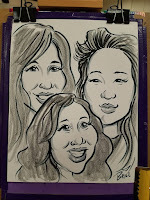 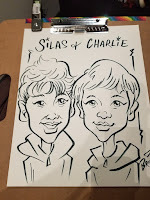 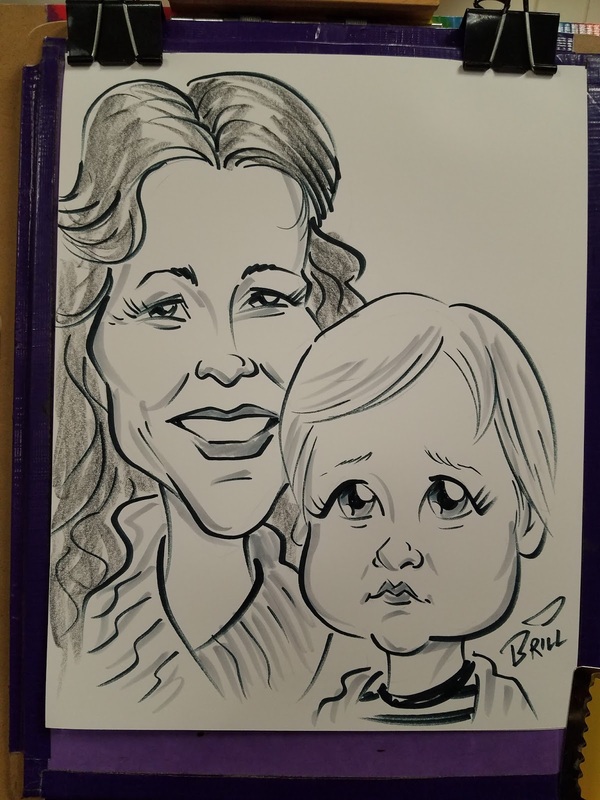 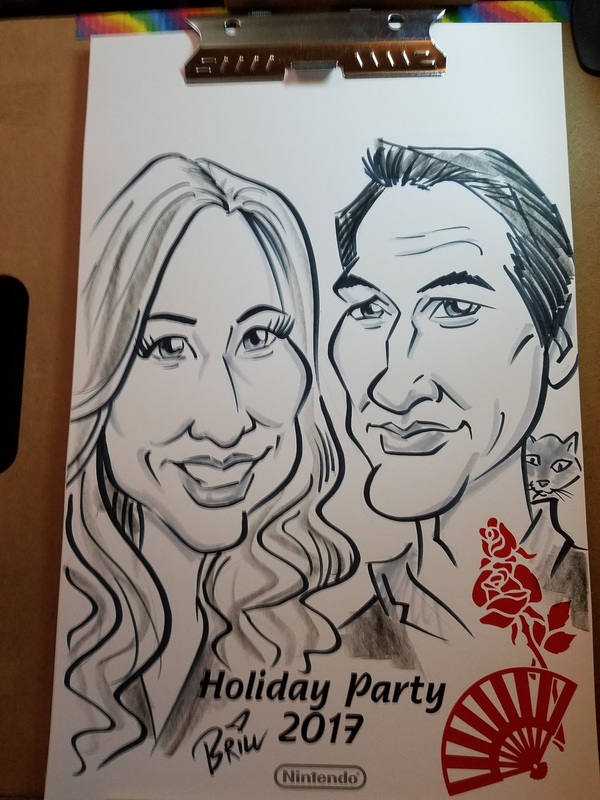 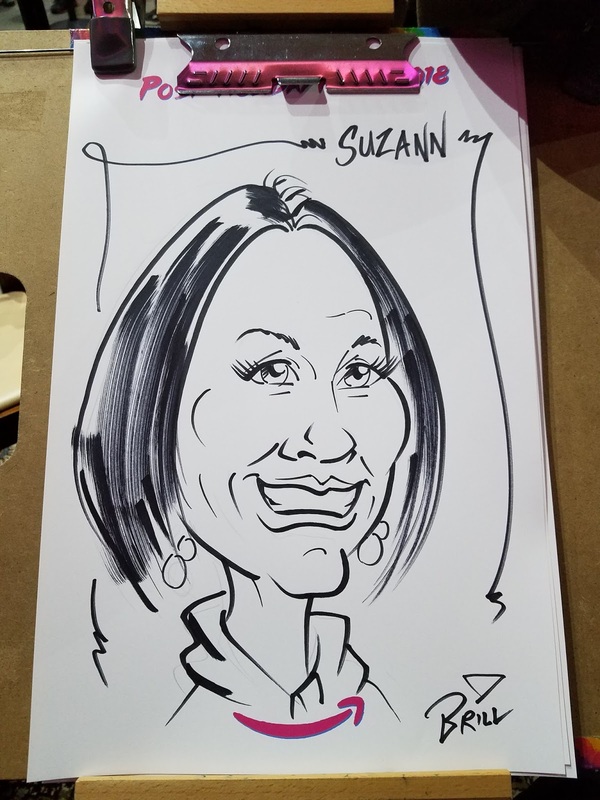 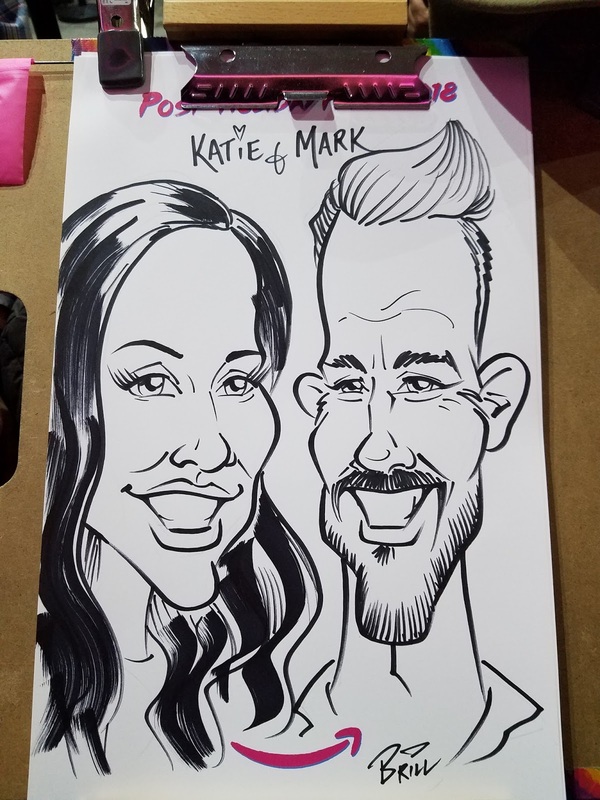 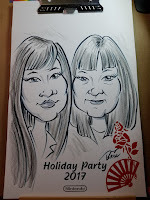 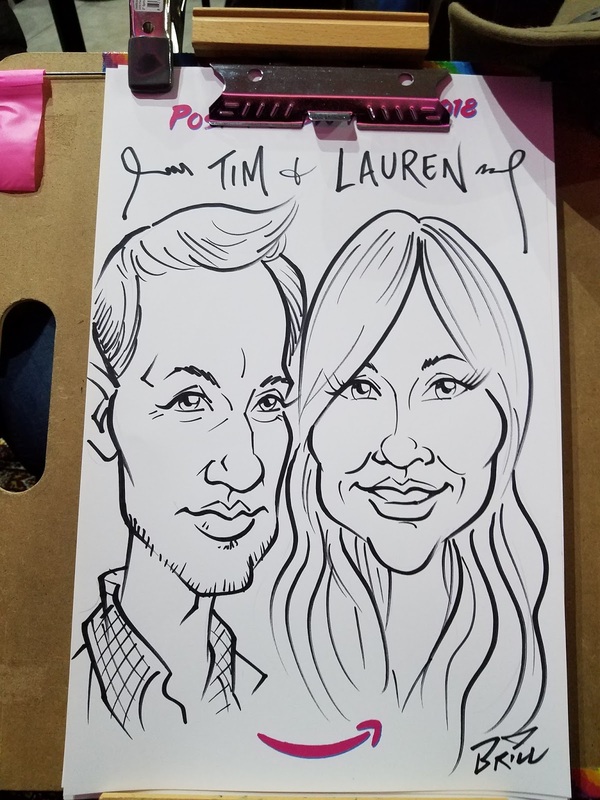 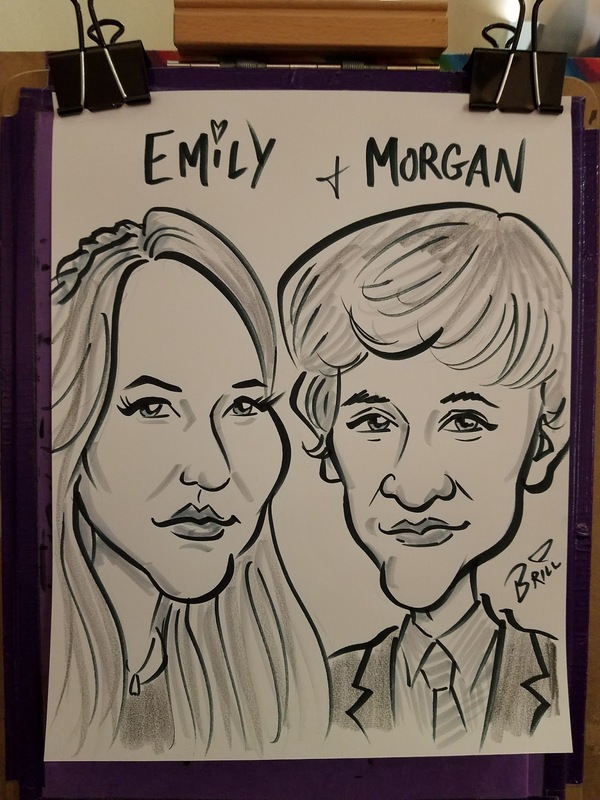 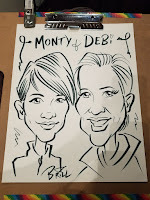 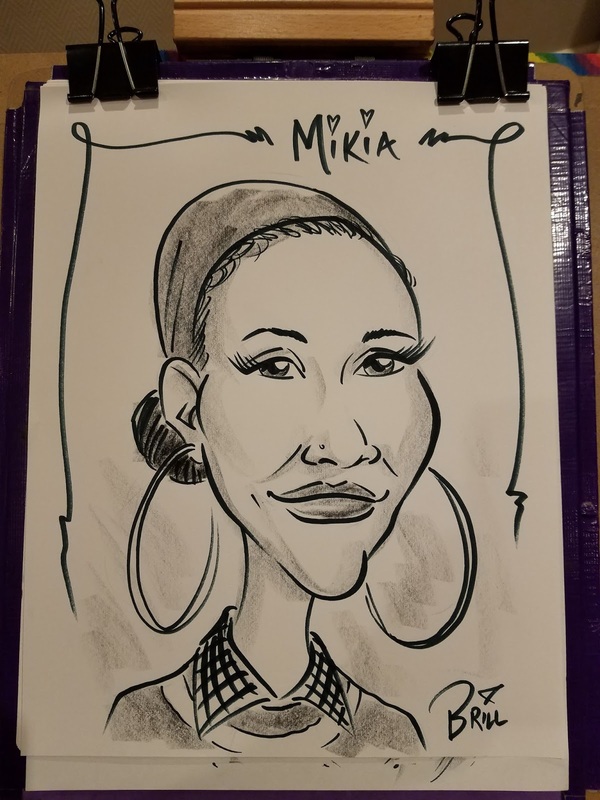 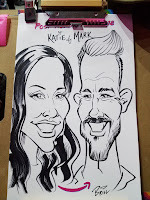 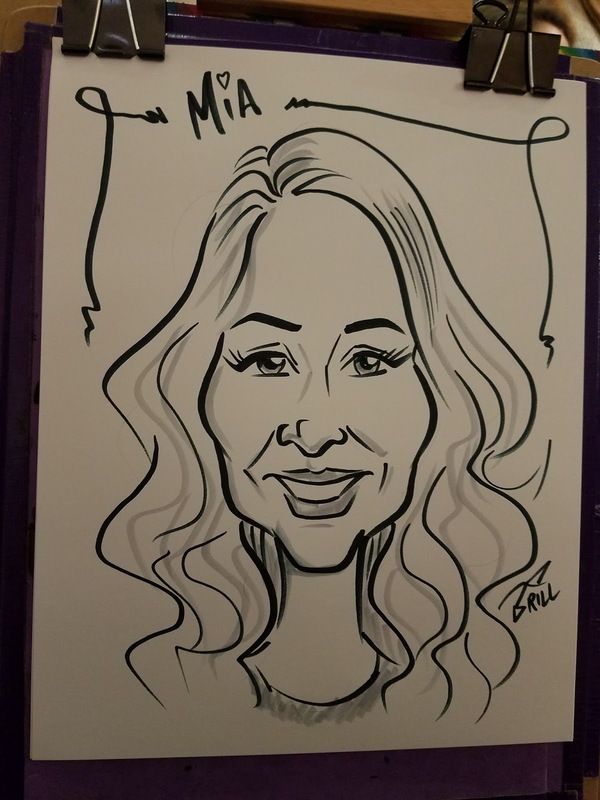 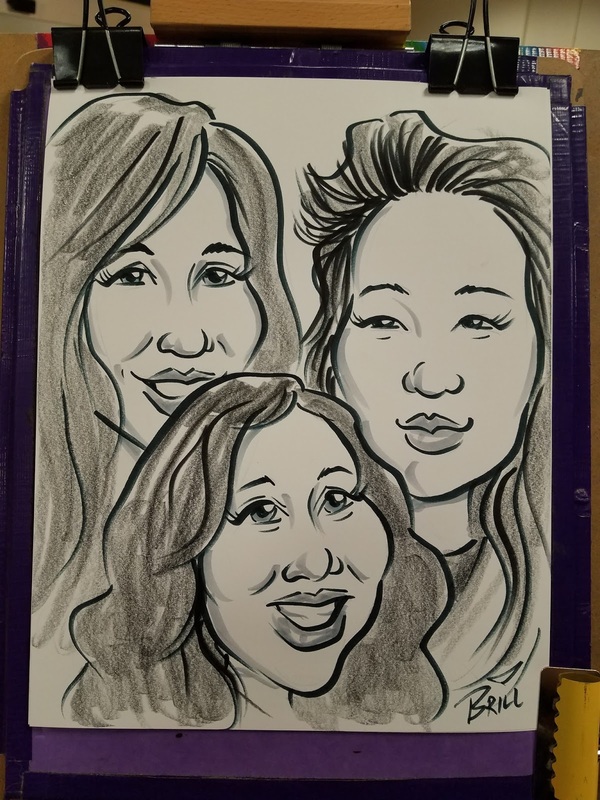 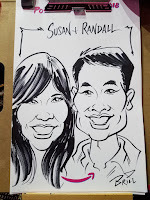 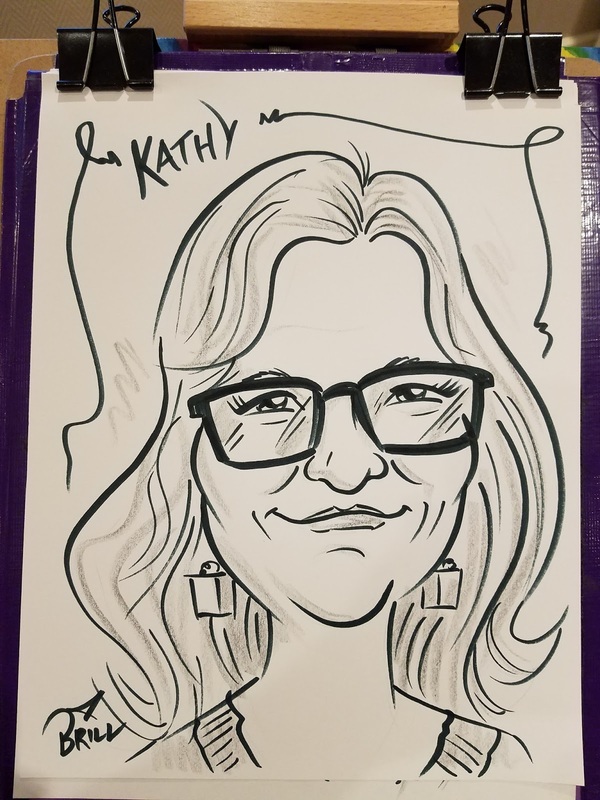 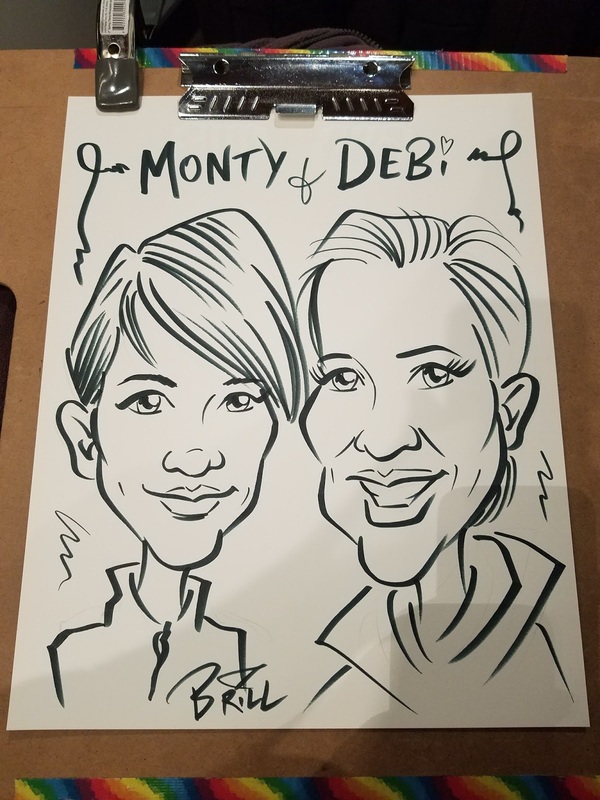 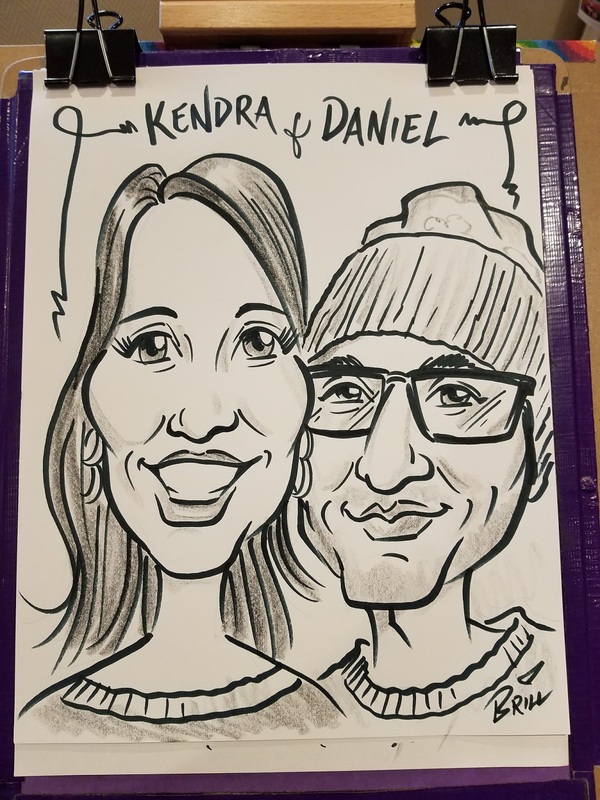 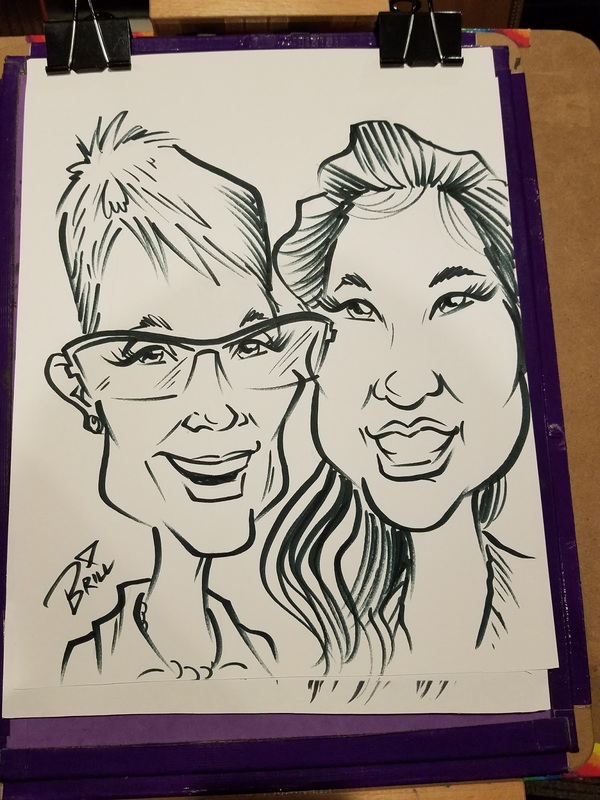 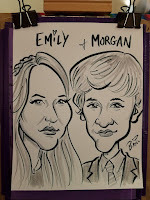 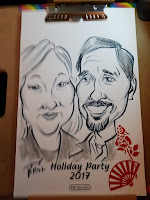 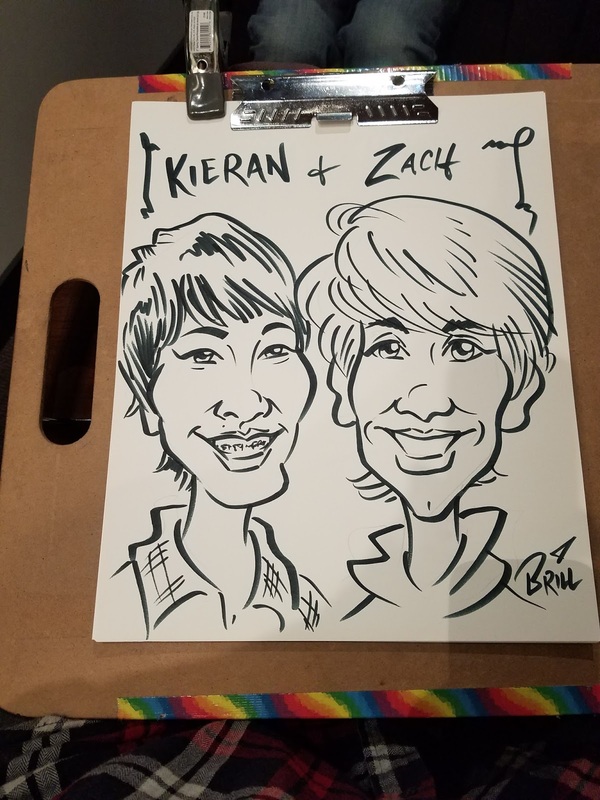 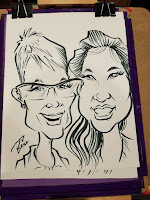 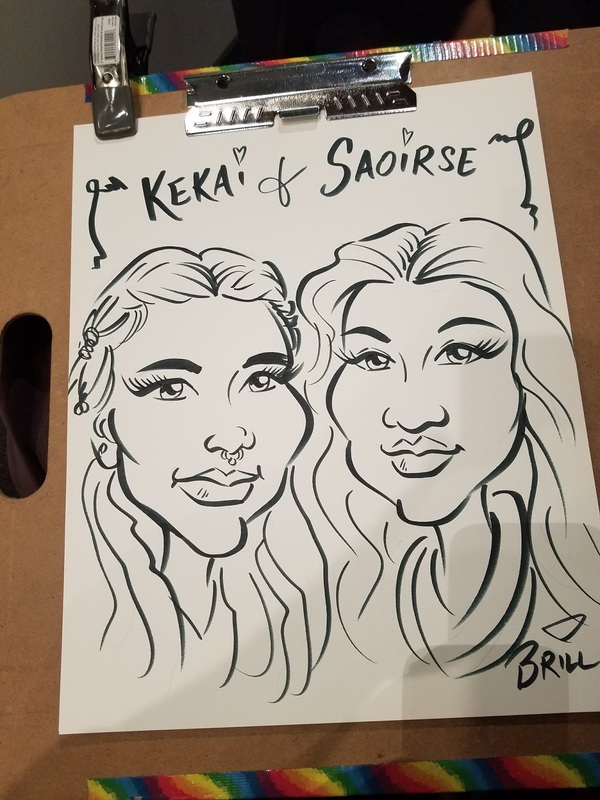 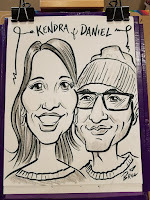 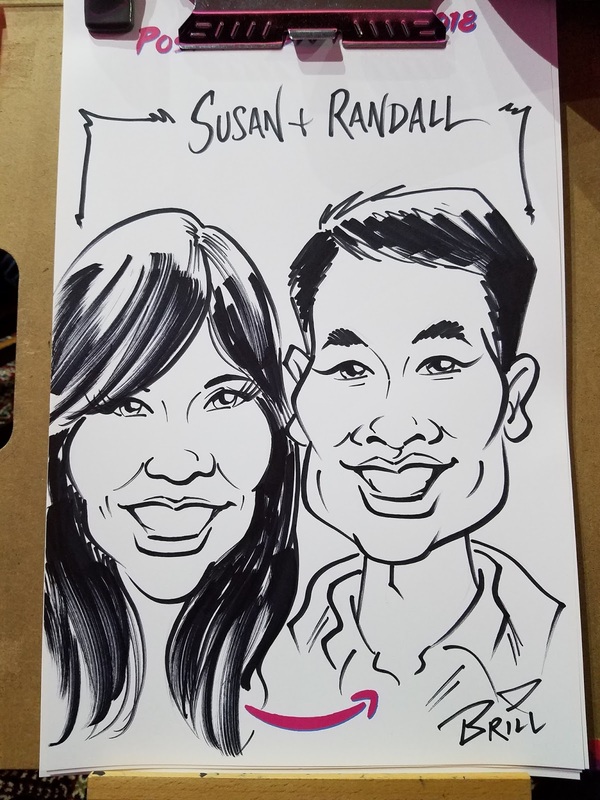 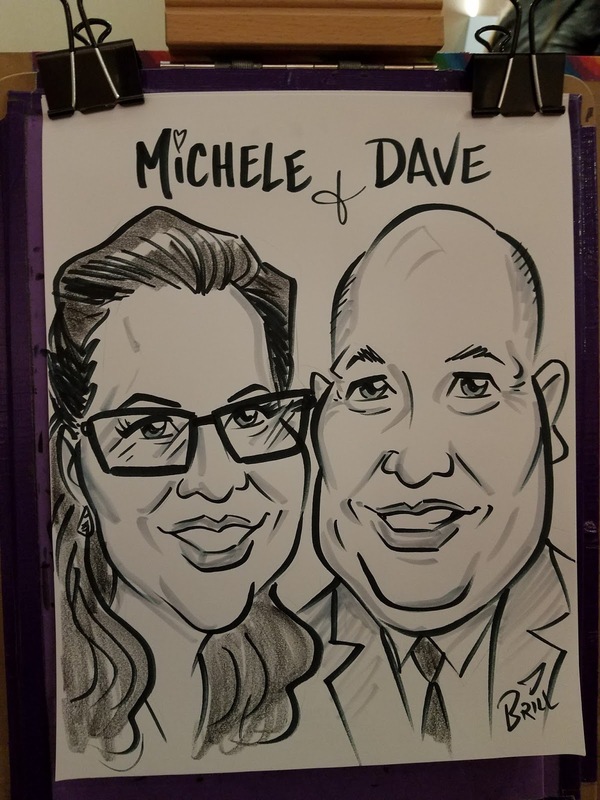 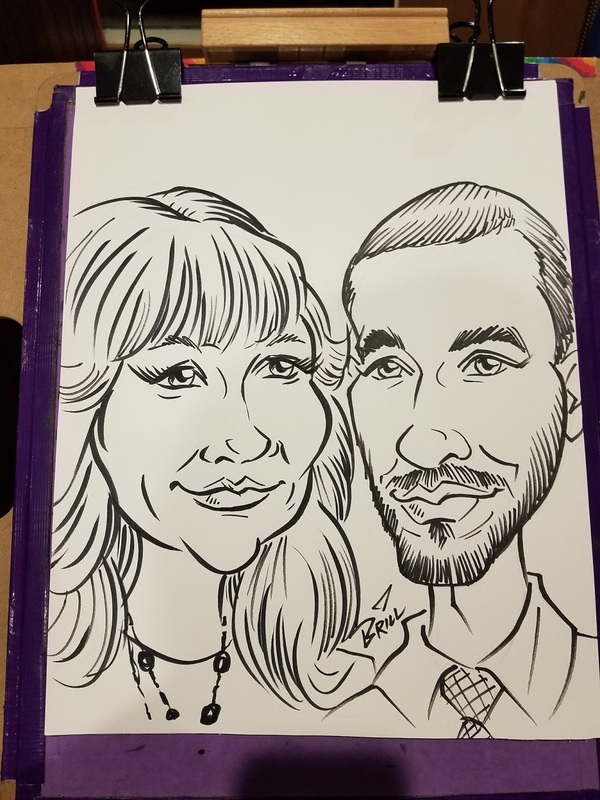 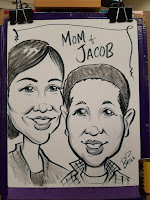 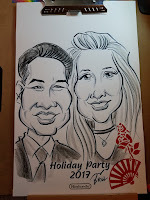 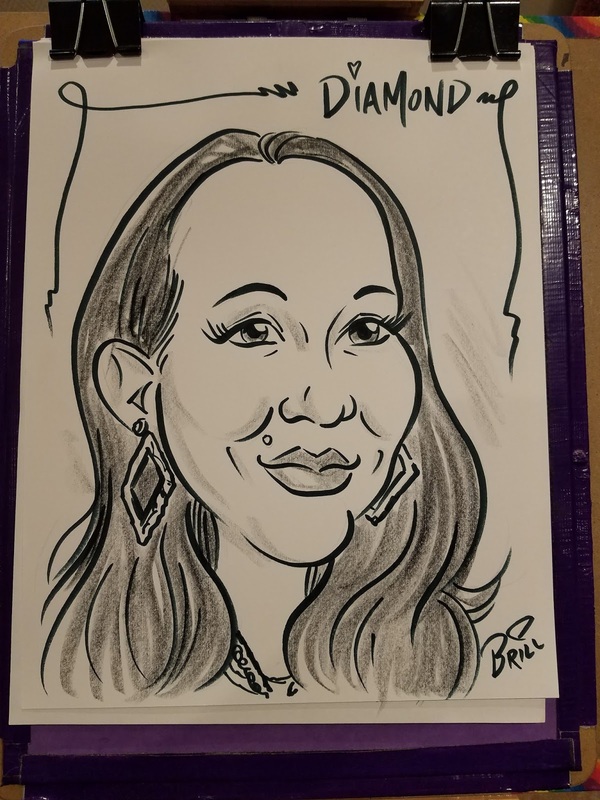 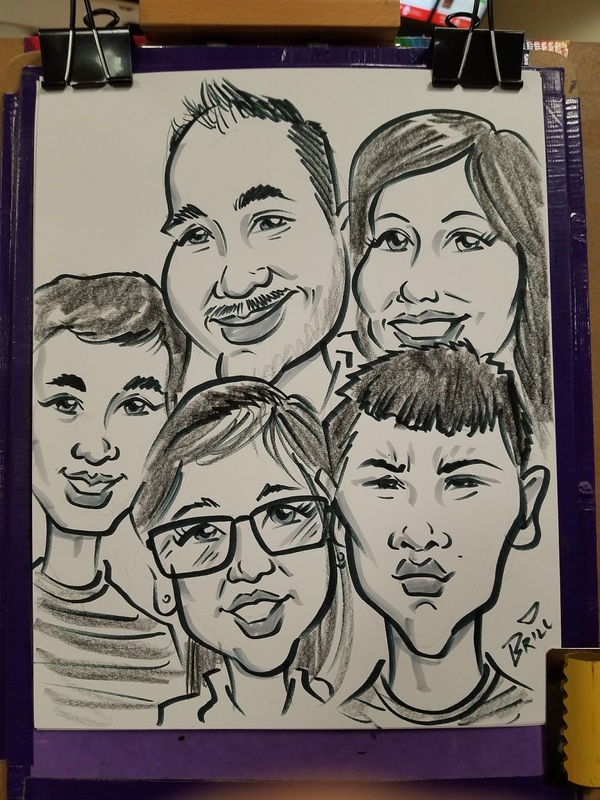 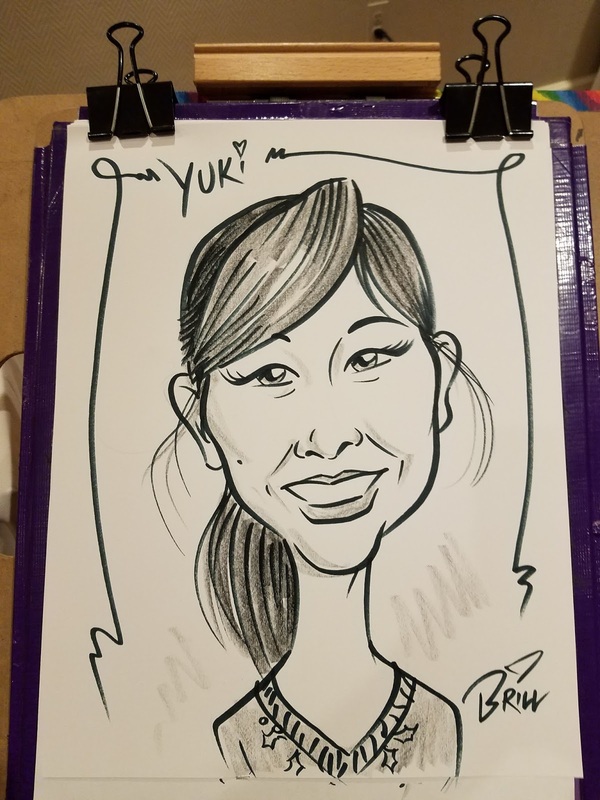 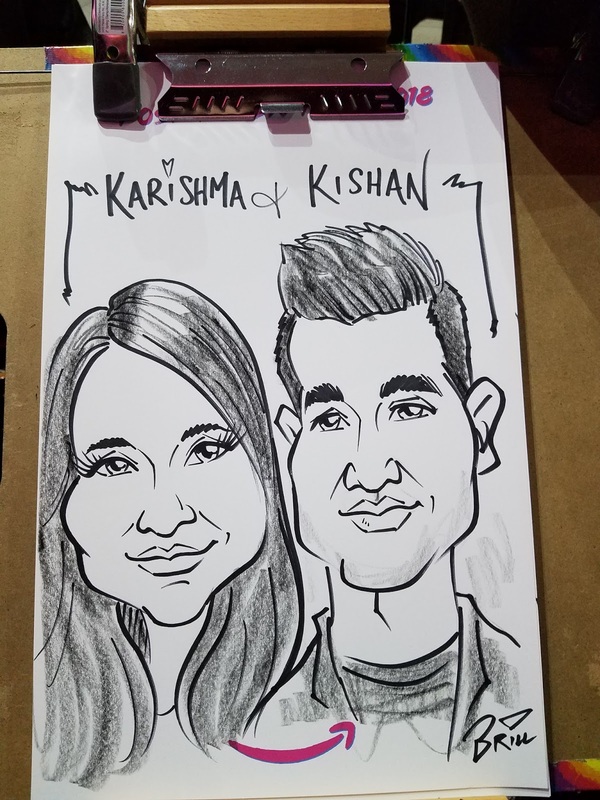 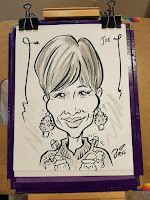 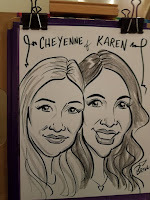 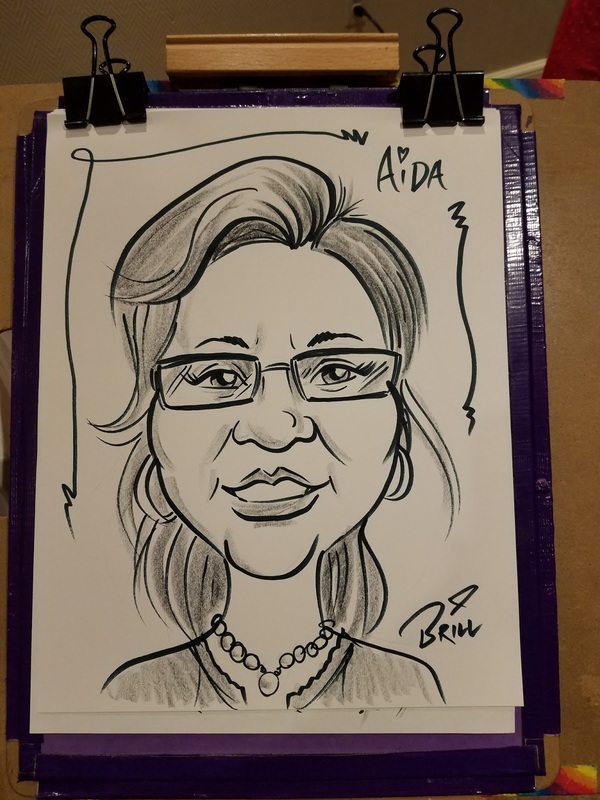 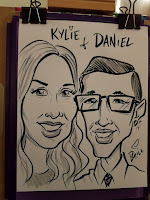 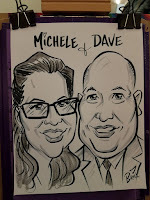 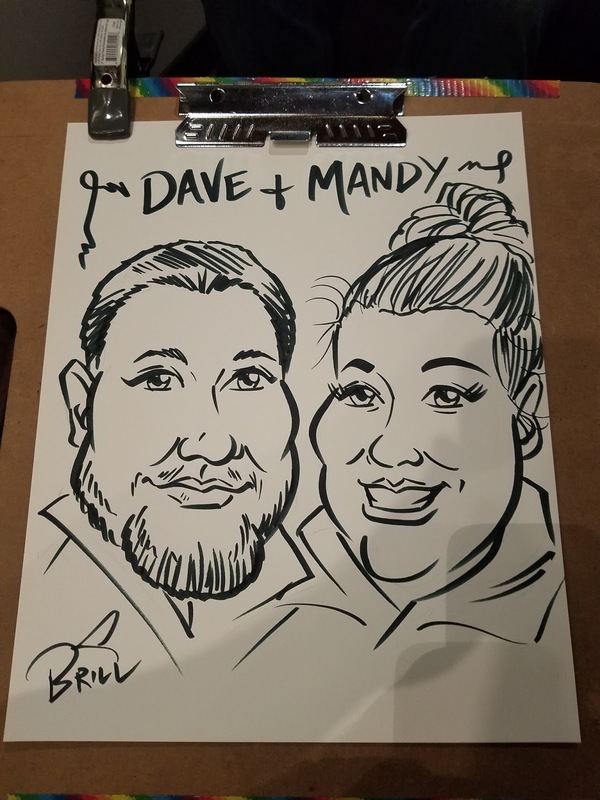 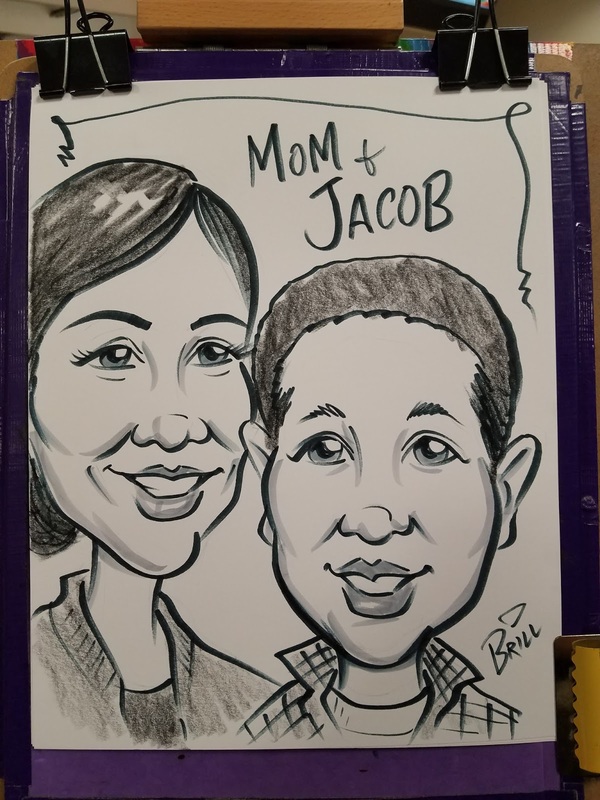 A Slew of Recent Caricature Gigs! 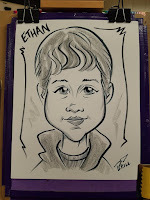 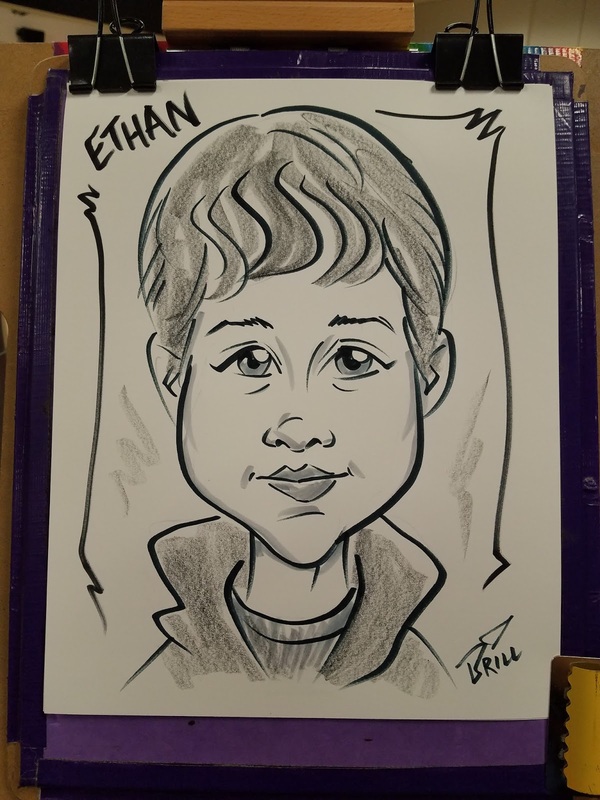 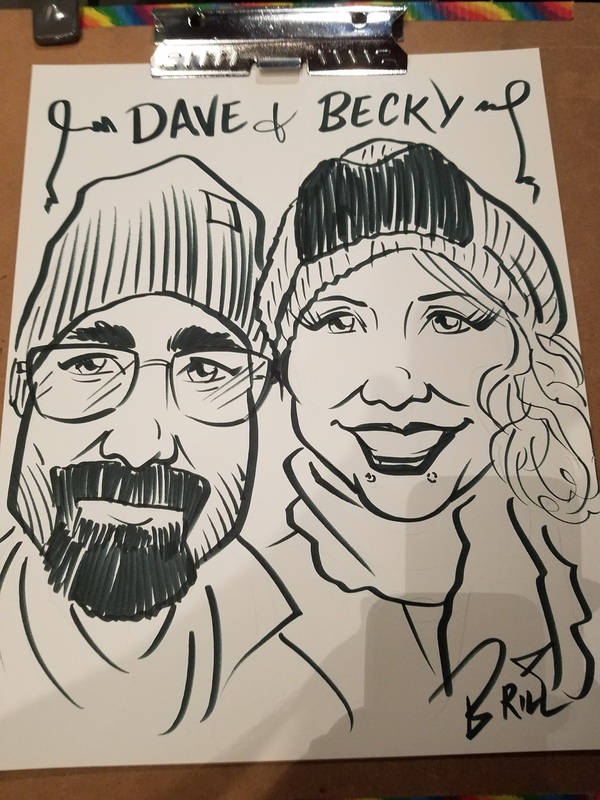 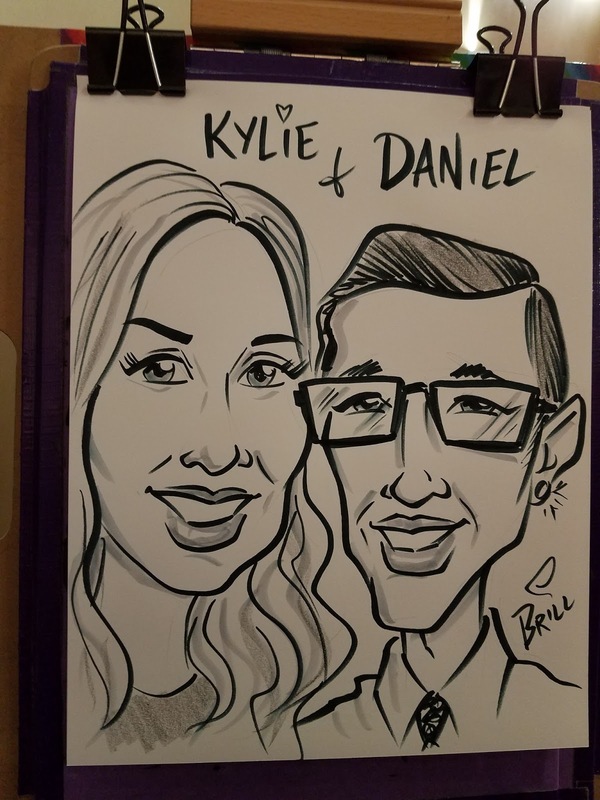 Been doing lots of cartoon portraits in the past couple of months. 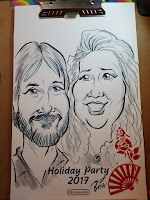 December tends to be a busy month anyway with all the Christmas parties. 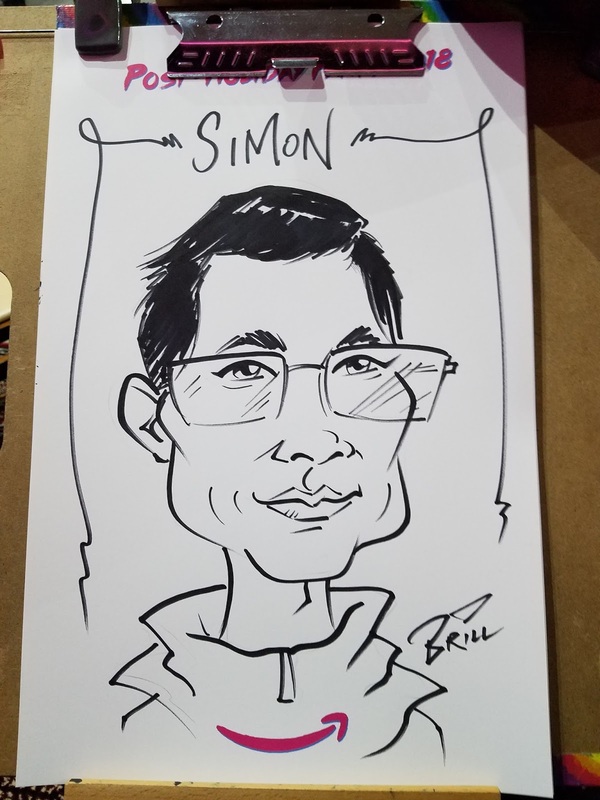 I'm definitely getting faster and people seem to really enjoy the final products! 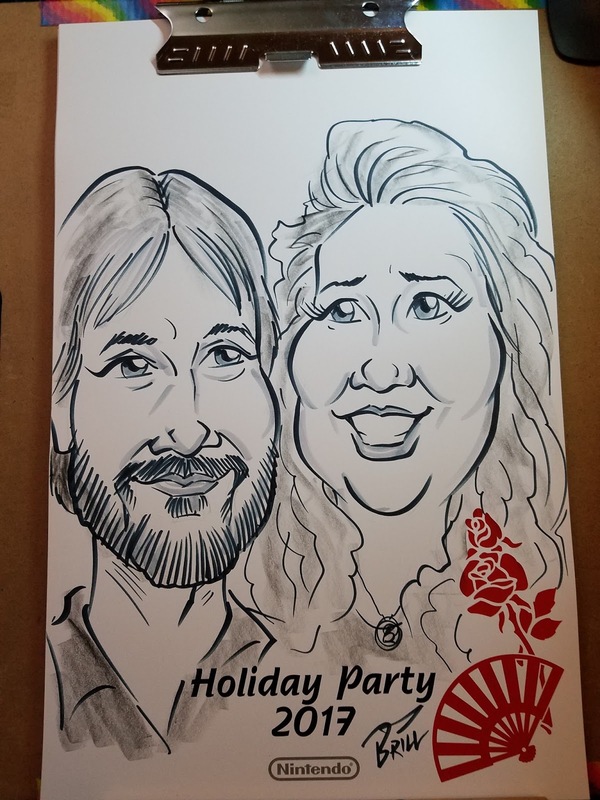 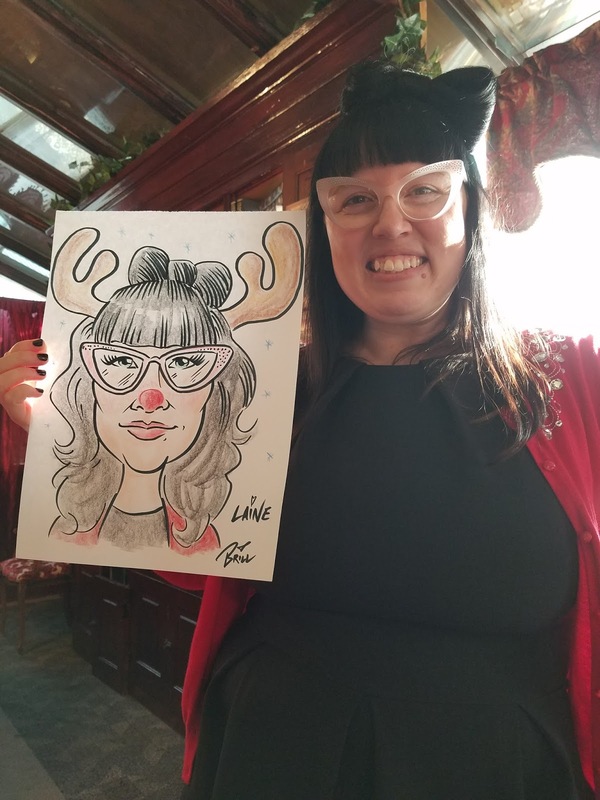 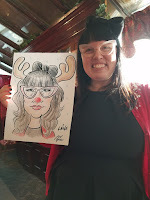 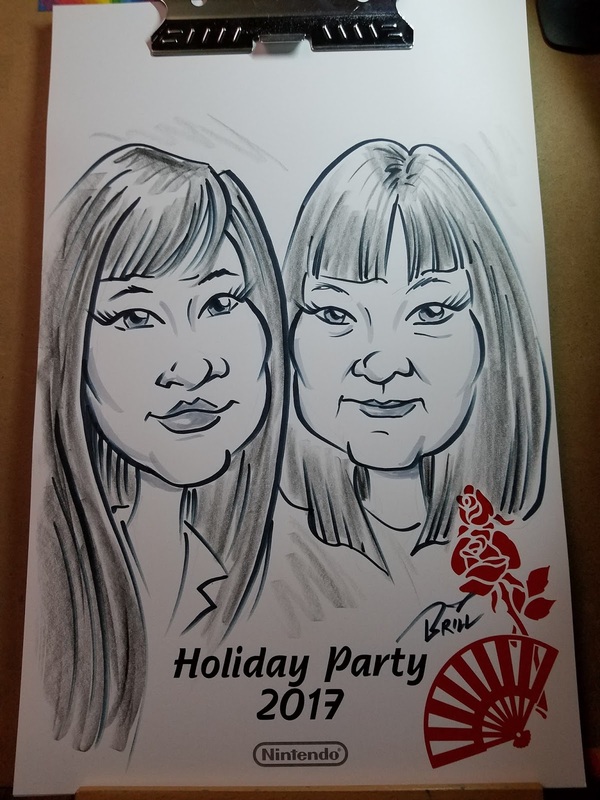 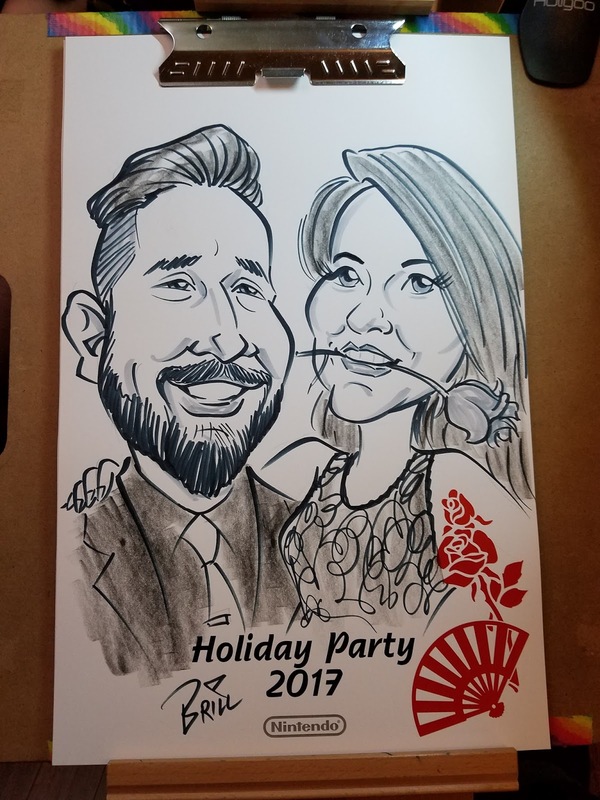 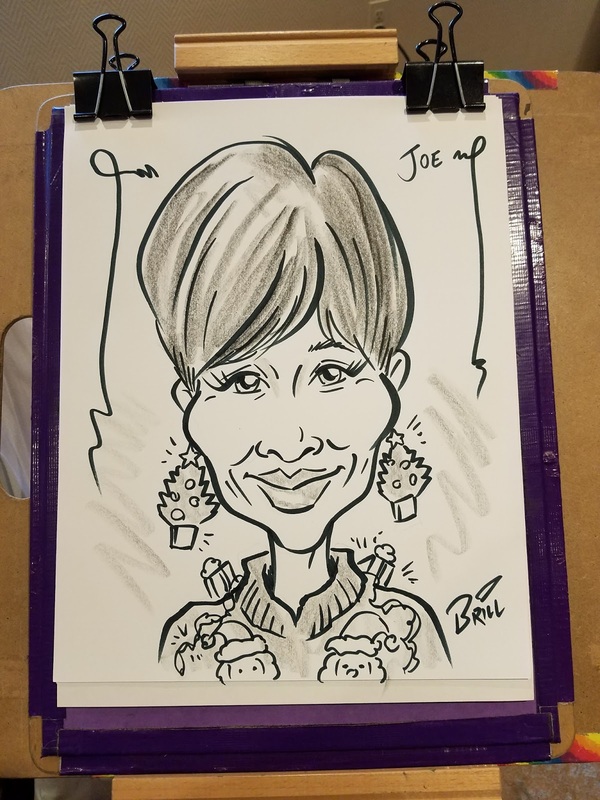 Here's a few samples from several of the gigs I've done lately, from Nintendo and Amazon parties to Tacoma's First Night festivities to much smaller and more intimate affairs like birthday gatherings and a Christmas High Tea! 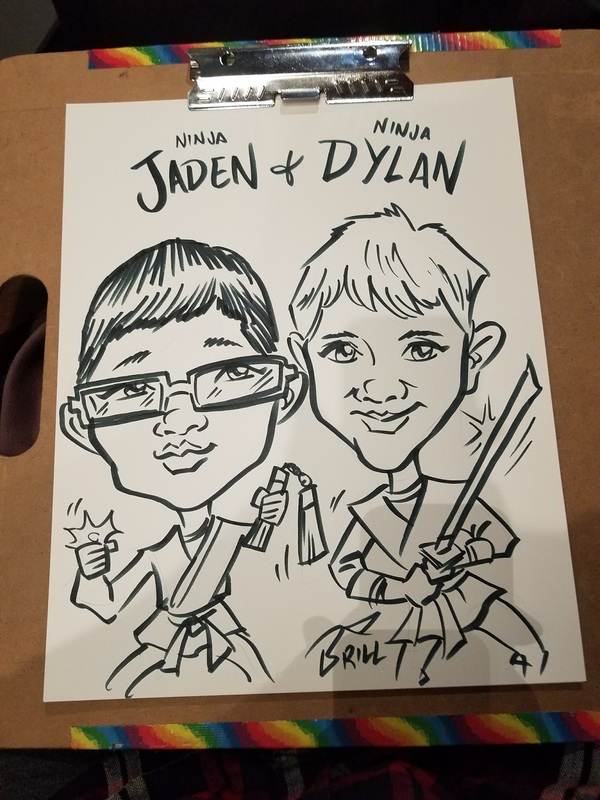 I should probably stop there. 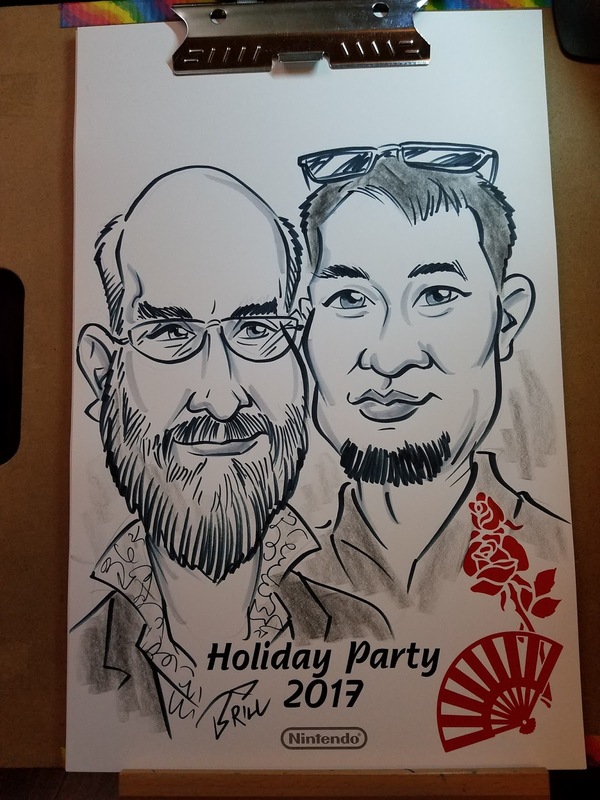 There isn't space to put all the pics from all the gigs. 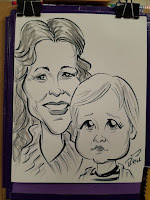 In fact, I probably overloaded this page as it is! 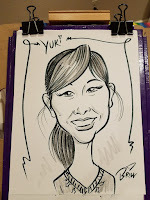 I really love doing this work and I just want to get better and faster and get more well known so I can do more!